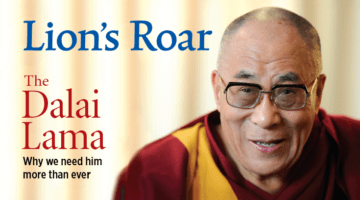 Jan Willis reflects on the the Dalai Lama’s life example of compassion, peace, and joyfulness. Photo by Thomas Imo / Alamy Stock Photo. Some people’s very presence in the world gives hope, solace, and courage to the rest of us. Their life and being is a gift to us all. His Holiness the Dalai Lama is such a person. Though his country was invaded by the Chinese Liberation Army in 1950 and he has witnessed firsthand the attempted destruction of his people and their culture, he is not bitter. Rather, he forgives. This remarkable ability to forgive and to remain without bitterness is striking to all who meet him. His abiding compassion, peace, and joyfulness are hallmarks of the man. He shows us that the end of suffering is possible. One of His Holiness’s predecessors, the great sage Atisha, titled his famed work A Lamp for the Path to Enlightenment. 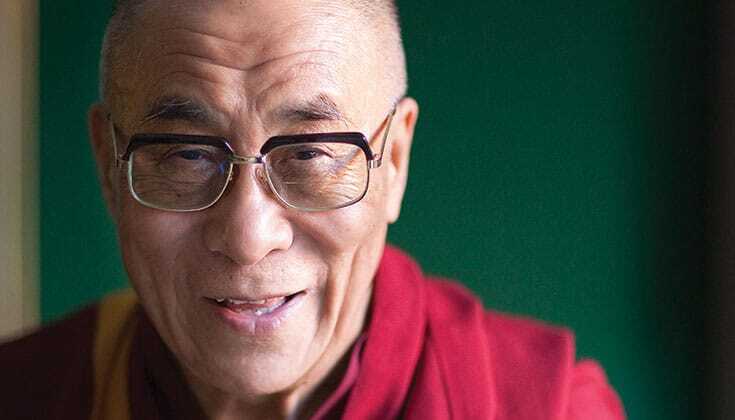 His Holiness the Dalai Lama is assuredly such a lamp. 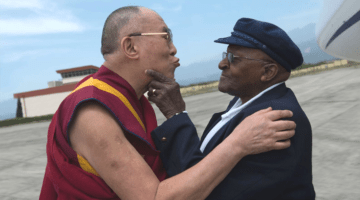 He is a principal exemplar of his Buddhist faith—a nonviolent man in a violent world, a peacemaker in a world of war, a joyful heart in the midst of sorrow. He shows us that the end of suffering is possible. 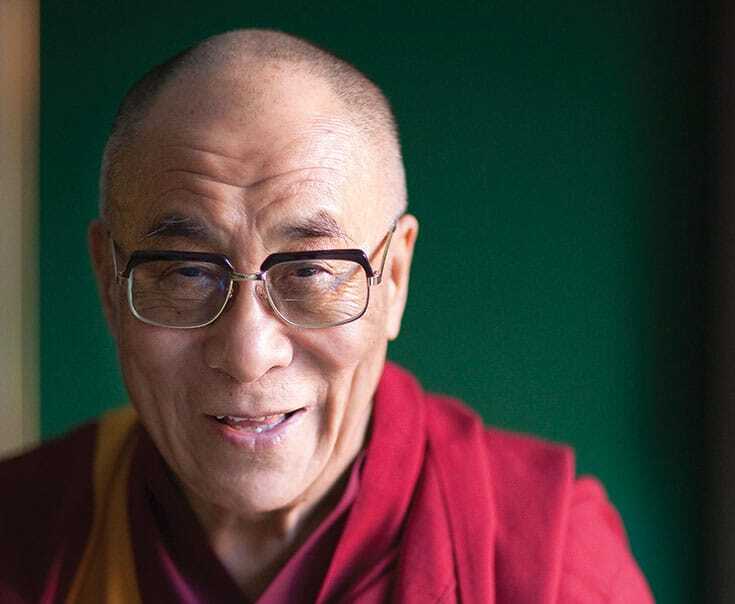 In a world like ours where craving, strife, bitterness and greed seem constant and inevitable conditions, His Holiness’ embodiment of peace and compassion changes everything. His joyful fearlessness is a lighthouse’s strong beam cutting through the dense fog of ignorance. How fortunate we are to be able to glimpse his light in the world.